Shyra Barberstock is the founder, CEO, and president of Okwaho International, a global Indigenous communications and consulting firm. She is also the co-founder of the Okwaho Network, a social network for Indigenous business. Stuck at a crossroads, Barberstock and co-founder Rye Barberstock decided to fill the gap. “Let’s stop talking about it and actually do something…Why don’t we build an Indigenous social network for business?” she said. Barberstock is the Startup Community Lead for the newest Startup Community, Startup Kingston. Over three years ago, Barberstock founded Okwaho International, one of the most influential advocates of Indigenous business in Canada and around the world. 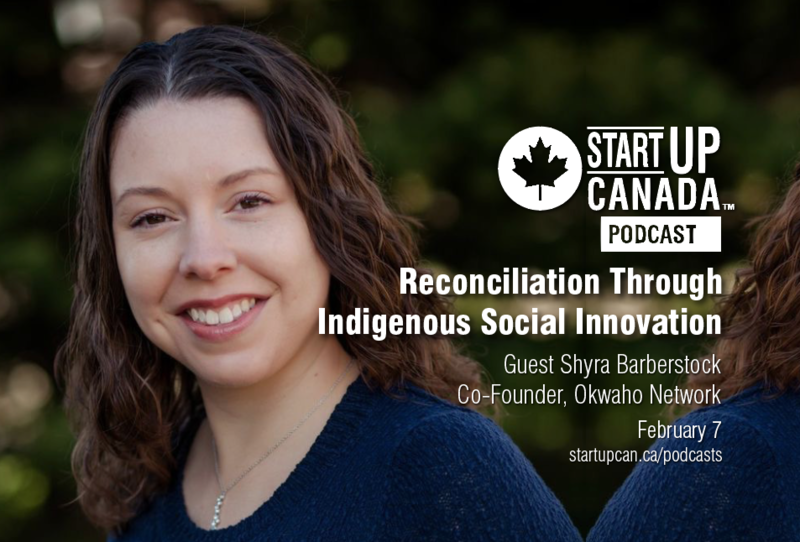 In this week’s #StartupPodcast, host Rivers Corbett talks to Barberstock about her successes and failures as a social entrepreneur, the connection between innovation and reconciliation, and she’ll share some top Indigenous business success stories we should all know about.